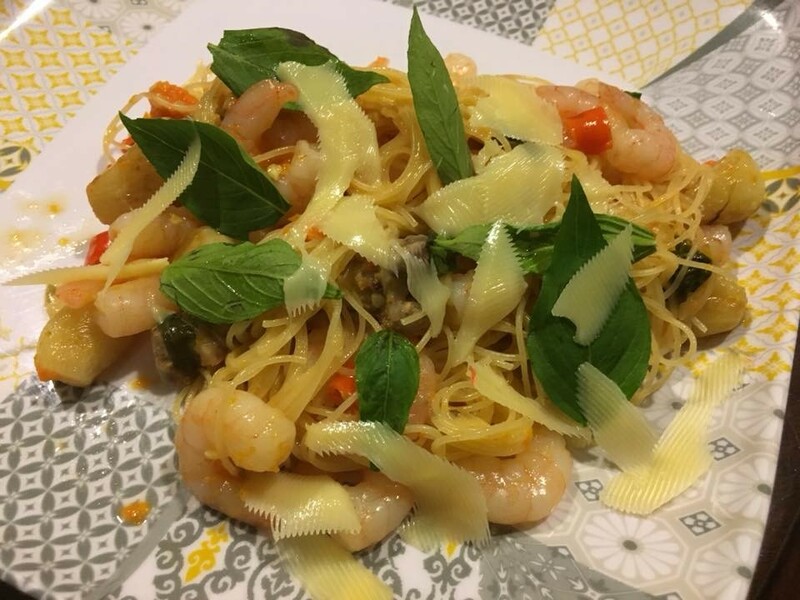 eating alone this evening, so just use whatever leftovers. 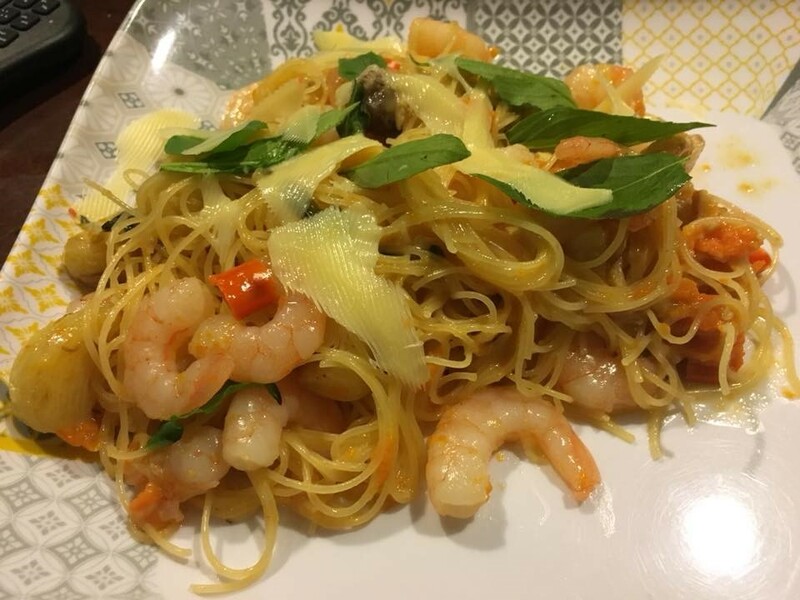 This entry was posted in Recipes, western & japanese and tagged basil, capellini, chicken stock, chilli padi, gourmet butter, olive oil, pasta, prawns, white wine. Bookmark the permalink.